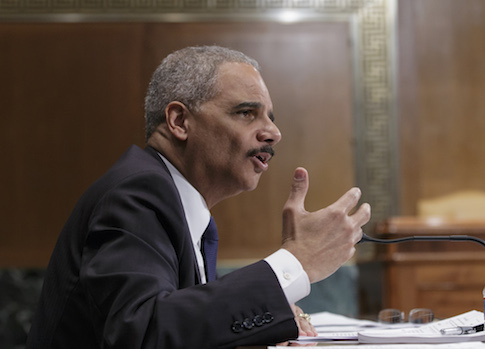 Hmmmm Factor : Fast and Furious Eric Holder wants to explore gun tracking bracelets for law abiding gun owners. After learning that the murder weapons were from Fast and Furious — and that disgraced Attorney General Eric Holder’s Justice Department was engaged in an attempted cover-up — brave federal agents knew it was time to go to Congress and the press to blow the whistle. Now, Special Agent Dodson, a key figure who helped expose the administration’s gun-running scandal, has added even more scandalous revelations to the mix: The bandits who shot Terry were likely working for two FBI operatives at the time.Of course, it has been common knowledge since at least early 2012 that the two Fast and Furious “drug lords” supposedly being “investigated” by the Obama administration were working for the FBI all along. Official documents revealed that the FBI operatives, who were using U.S. taxpayer funds to purchase weapons for cartels, were considered “national security assets,” “off limits,” and “untouchable.” In all, thousands of high-powered American guns were provided to cartels by the administration through the deadly scheme. Added by Graham Noble on December 28, 2013. Among the many serious scandals that have plagued Barack Obama’s presidency and for which nobody in charge has ever been held accountable, Operation Fast and Furious was one which the White House had hoped was forgotten, but the original ATF whistleblower has revealed a new twist. Attorney General Eric Holder, who previously lied to Congress about his knowledge of the botched illegal gun-running scheme, cannot escape the obvious fact that he is still responsible, ultimately, for the entire tragic and criminal enterprise. Fast and Furious was an ATF sting operation that allowed associates of Mexican drug cartels to enter the United States and make straw purchases of firearms in US gun stores, before returning to Mexico with the weapons and selling them to the cartels. The stated objective was to track and apprehend senior cartel members but this never happened; the weapons were not tracked effectively – if at all – and most of them disappeared; some being recovered later at the scenes of numerous murders. Since an ATF agent blew the whistle on the operation – which began in 2009 – congressional hearings have failed to reach any actionable conclusions; the Justice Department (DoJ), of which the ATF is a branch, has refused to hand over most of the documentation relating to this criminal enterprise. The Attorney General himself lied to Congress when he told the hearing that he had known nothing about the operation until just a couple of weeks before the hearings. The oversight committee later acquired internal documents that proved Holder had known about the operation much earlier. In a Univision interview, President Barack Obama discusses Operation Fast and Furious and Attorney General Eric Holder’s role in the operation. Obama falsely states that Operation Fast and Furious started under the Bush administration. A recent report by the Inspector General of the Department of Justice reveals that 14 top officials in the DOJ and ATF were involved in the gunwalking operation, and 2 officials resigned following the release of the Inspector General report. A source famiiiar with Mr. Dodson’s book request told the Times that ATF officials never inquired whether he was seeking to publish the book for pay or free, and that the rejection came only after his superiors in Washington and Arizona asked to read the manuscript. 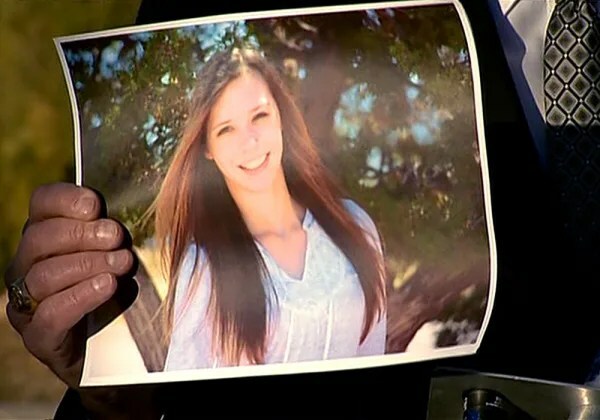 Arapahoe County Sheriff Grayson Robinson holds a picture of Claire Davis, the 17-year-old student who was shot at Arapahoe High School in Centennial, Colo. The 17-year-old senior who was in a coma after being shot point-blank at a Colorado high school last week died Saturday with her family at her side, hospital officials said. Claire Esther Davis, a senior at Arapahoe High School in Centennial, Colo., was critically injured when student Karl Halverson Pierson, 18, entered the school building on Dec. 13 armed with a shotgun and Molotov cocktail bombs. The teen passed away at 4:29 p.m. local time (6:29 p.m. ET). Authorities said Pierson’s attack lasted just 80 seconds. Officials believe the teen was angry after losing his coveted spot on the debate team. “His intent was evil and his evil intent was to harm multiple individuals,” Arapahoe County Sheriff Grayson Robinson said last week. Upon entering the school, Robinson said, Pierson fired one round down the hallway. He then shot Claire, who just happened to be sitting nearby with a friend as he headed toward the library. Claire suffered severe head trauma, which put her in a coma. John Cooke is among the Colorado sheriffs who are resisting enforcement of new state gun laws. 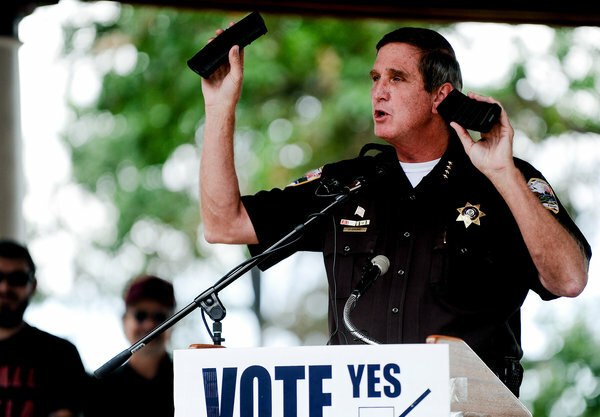 GREELEY, Colo. — When Sheriff John Cooke of Weld County explains in speeches why he is not enforcing the state’s new gun laws, he holds up two 30-round magazines. One, he says, he had before July 1, when the law banning the possession, sale or transfer of the large-capacity magazines went into effect. The other, he “maybe” obtained afterward. Holy coincidence, Batman! It’s another ‘Drill-Gone-Live’ in unlucky Colorado! 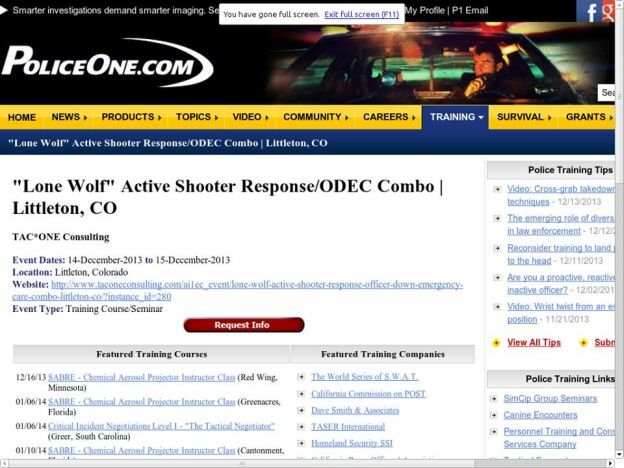 Active Shooter Drills in Littleton, Colorado Same Day as School Shooting By Lori Price, www.legitgov.org 14 Dec 2013 In response to the shooting Friday at Arapahoe High School, Peter J. Kuehlen has unearthed two screenshots of ‘security consultants’ conducting active shooter response drills in the same location — and on the same day, no less – of the school shooting in Colorado. Police officials in Arapahoe County, Colorado have confirmed that there has been a shooting at Arapahoe High School, and that the shooter is believed to still be at large inside the building. Sheriff Grayson Robinson said that there are at least two confirmed victims at Arapahoe High School, located about 10 miles south from downtown Denver. The school is home to more than 2,000 students. Arapahoe is part of the Littleton Public School district, which neighbors the Jefferson County School District, home to Columbine High School. Details are still trickling in, be sure to check back for additional coverage. An army of police officers responded and terrified parents rushed to the scene after a student entered Arapahoe High School in Colorado and shot two students, authorities said. NBC’s Tom Costello reports. A gunman opened fire at a high school in Colorado on Friday, wounding two fellow students before killing himself, authorities said. One of the students was critically wounded and was in surgery after the gunman shot the youth at Arapahoe High School in Centennial. Arapahoe County Sheriff Grayson Robinson said initial reports that the student confronted the gunman turned out not to be true. The second injured student was reported in good condition with a minor gunshot wound. The shooter, a male student, said he was looking for a specific teacher by name when the incident began about 12:30 p.m. (2:30 p.m. ET), Robinson said. Arapahoe County Sheriff Grayson Robinson details the shooting Friday at Arapahoe High School. They found the shooter in a classroom about 20 minutes after they began their search, Robinson said. He said investigators knew his identity and were talking to his family. Police, sheriff’s deputies and agents of the U.S. Bureau of Alcohol, Firearms, Tobacco and Explosives obtained a search warrant and barreled into a home about 4 miles from the school, looking for any other possible weapons or clues. No one appeared to be home, a neighbor said. Active Shooter! 2 Shot at Colorado High School, Gunman Still on the Loose! Arapahoe High School in Colorado is the location for this Event Taking place Friday 13th of December 2013! UPDATE: THE SHOOTER SAID TO HAVE KILLED HIMSELF….GO FIGURE!